So much can happen in five months. 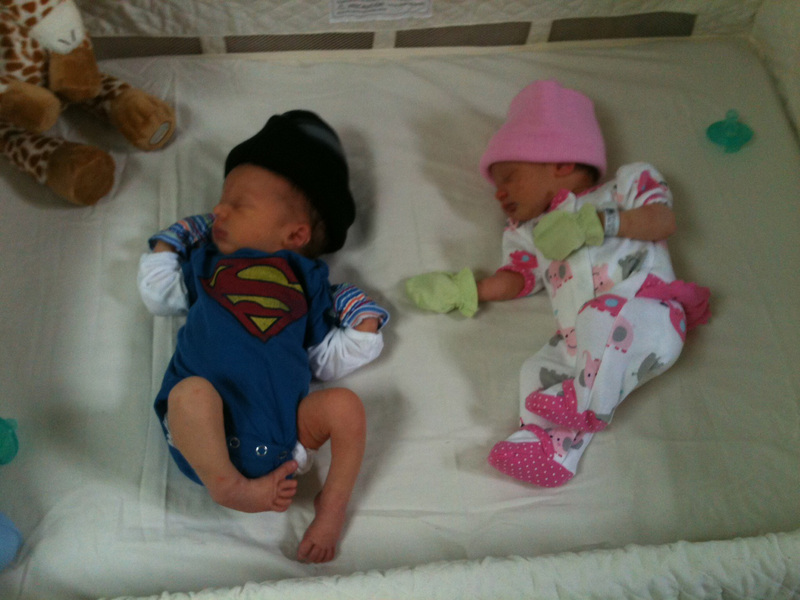 Although I viscerally knew the twins were itty bitty when they came home from the hospital, I was just scrolling through some of their early photos and find myself shocked at how small they were. 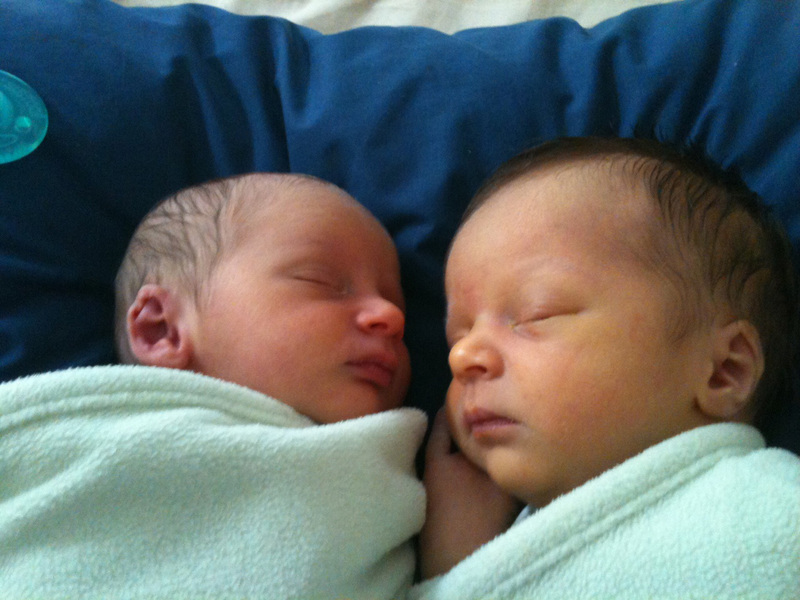 The twins in the co-sleeper their first day home. 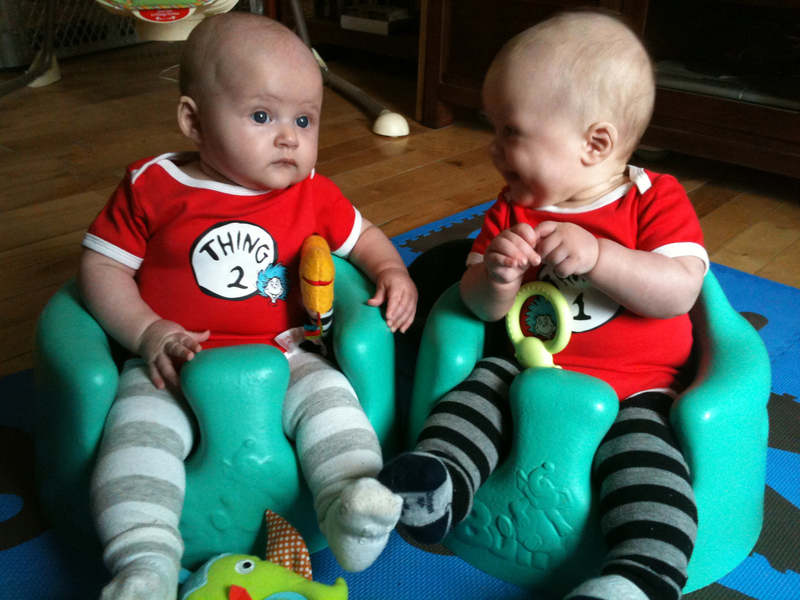 The twins after a few weeks. At this point, one baby comfortably fits in the co-sleeper, facing north-to-south. They don’t fit east-to-west anymore; they push their heads against the far side while resting their feet on the bottom bar. I already can’t believe they were ever small enough to fit in my uterus.